Of course, you can do any number of designs with piZap’s easy platform, but this year we’re crushing on retro designs (like the template we made for you above ). Cocktails, fun colors, stars… you don’t get more New Year’s Eve’y than that! To personalize the template above, right-click to download, upload to piZap, use the white space to add your party specifics, then download again. Perfect for printing, emailing or sharing on social media. 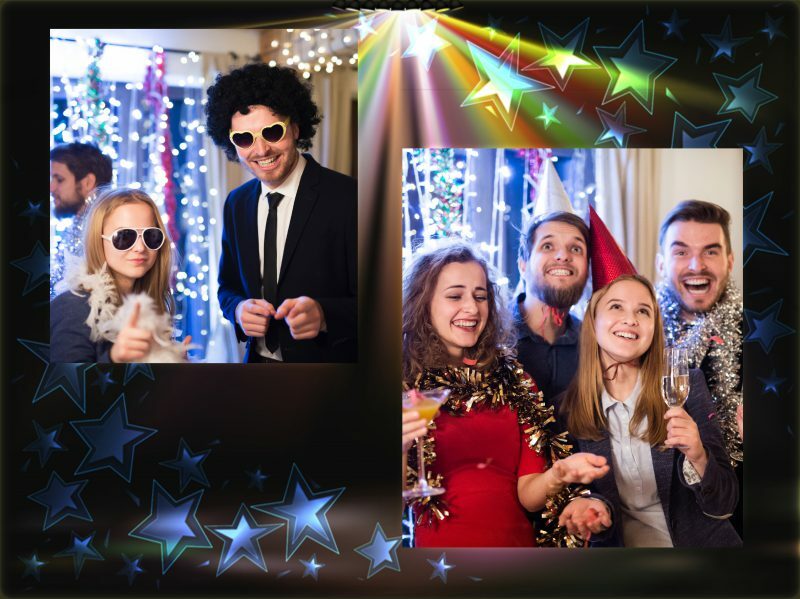 If you’re looking for something that’s fun to do, and a great way to memorialize the night, a makeshift photo booth is for you! 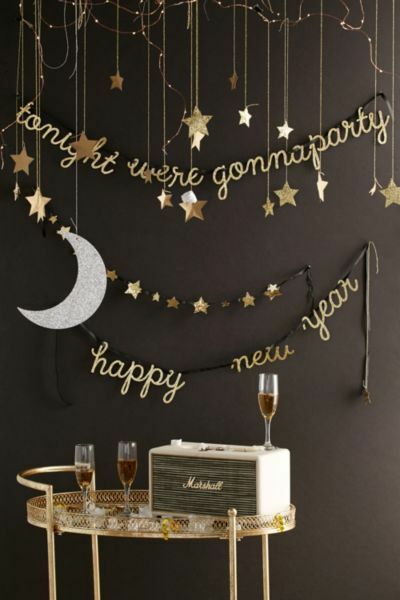 Set up a corner or unused wall with a backdrop with sequin or black fabric, provide props and you’ll have an evening to remember! Right-click these printables below to help get you going. Simply print, cut out, attach to long craft sticks and you’re set. Add a little thoughtfulness and fun to your New Year’s Eve celebration by prompting your guests -and yourself! – with Wish Cards. Print and cut out the template below. Then have them available with pens at various locations throughout your party. You can then have everyone drop them in a bowl for sharing later or to simply take home as reminders throughout the year. With a printer, a pair of scissors and fabulous design ideas, you can turn plain into perfect. 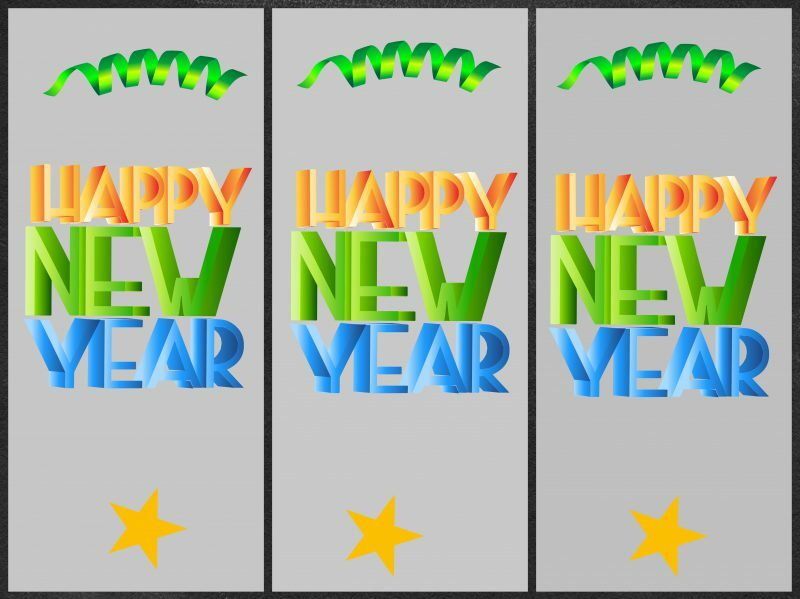 Get started with the printables below, or create your own with piZap’s New Year’s stickers! 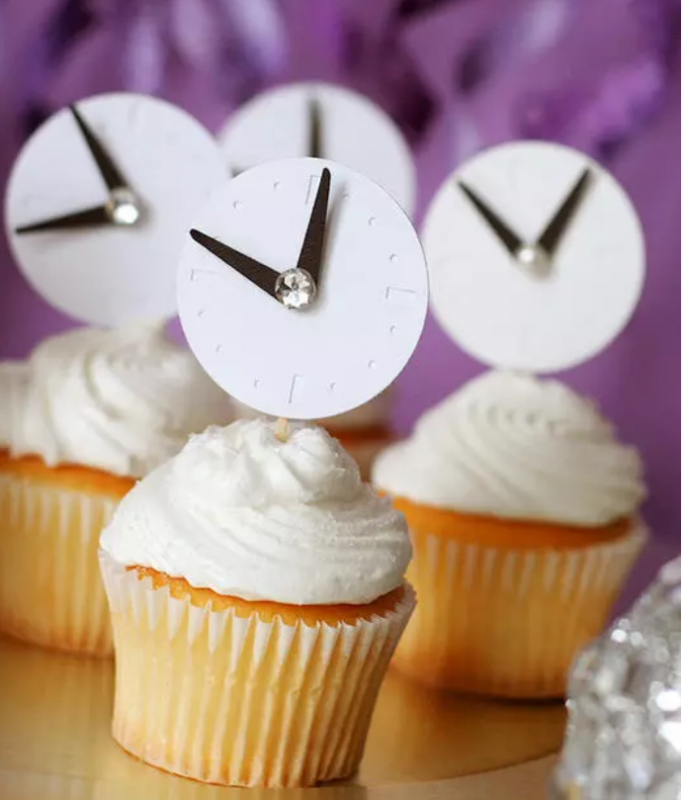 Really, you can top your New Year’s Eve dessert cupcakes with anything, but we happen to adore these fun clocks! Print out the template below to bring charm to your cupcake craftiness. Take your sparkle game to the next level! Sparkle sticks are the way to go. Your guests will love this fun idea! 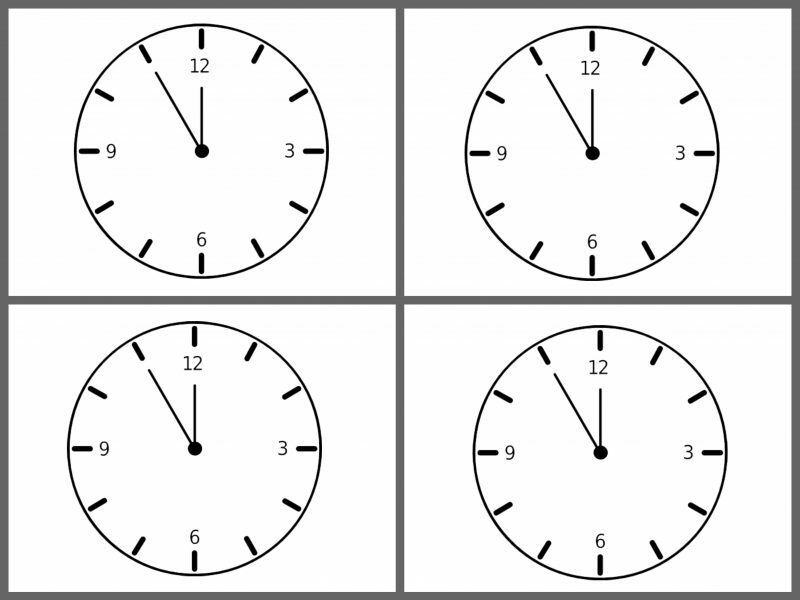 Download our version using the template below. Once the party is over, keep the memories alive by sharing all your fun pics. Use piZap’s collage templates to create, save and share. 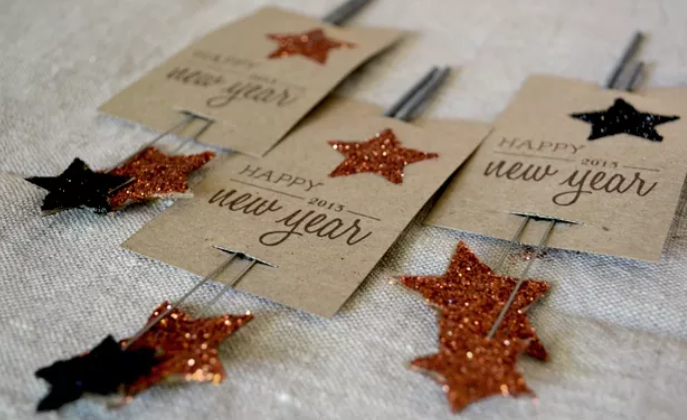 Now that you’re armed with these awesome DIY ideas for New Year’s Eve, it’s time to get planning! Don’t forget to tag #pizap in your creations.